Exuberance in the environment with dazzling lights & cheerful faces marks the beginning of the festive season in India. The festive season of Diwali, reinforces the belief that it’s an auspicious period to make a new beginning to investments. 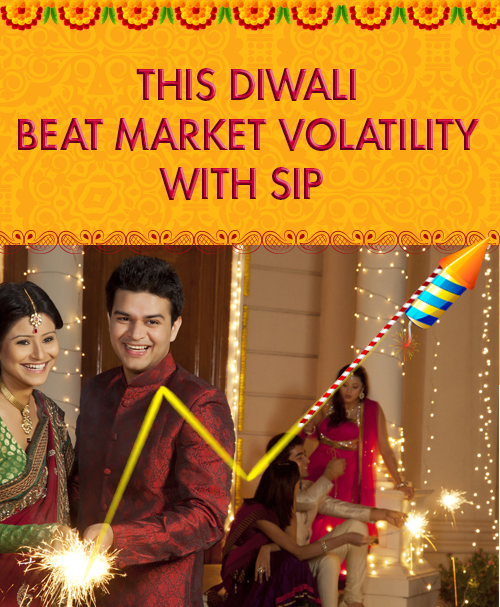 Considering the recent volatility in the market, it’s prudent to start your investments with SIP. A long investment horizon through the SIP route reduces volatility, hence provides you the opportunity for wealth creation in the long-run. Start an SIP as low as Rs. 1000 per month without having to strain your wallet. Invest across market cycles and reduce the effect of market volatility. Benefit from averaging your purchase cost. By investing small amounts in SIPs you can diversify your portfolio. Inculcate the habit of disciplined investing. Mutual Fund investments are subject to market risk. Please read the offer document carefully before investing. Investments in securities market are subject to market risks. Read all the related documents carefully before investing. 2017 Axis Direct All rights reserved.